A restoration of, and addition to, an unusual 19th century frame building in downtown Jersey City. The home had fallen into serious disrepair after 100 plus years of occupation. Our clients bought the home with the intention of restoring the historic facade while modernizing the interior. We viewed the project as a two part process with the first focused on reconfiguring and expanding the interior spaces to address our clients' modern lifestyle. A load bearing wall that ran through the middle of the building was removed to open up the previously divided interior spaces. An addition at the back of the building provided an opportunity for large windows to improve the brightness of the space and make a connection to the large yard. 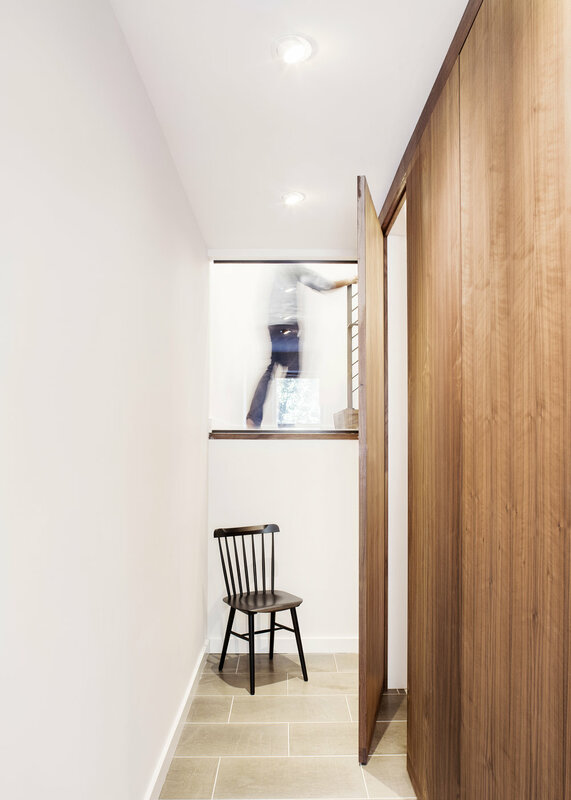 To further enhance the sense of openness and brightness in the main living space, we consolidated all of the storage, bathroom and mechanical components into a single cubic volume clad in walnut plywood and accessed via concealed doors. The second part of the project involved the restoration of the original historic facade. 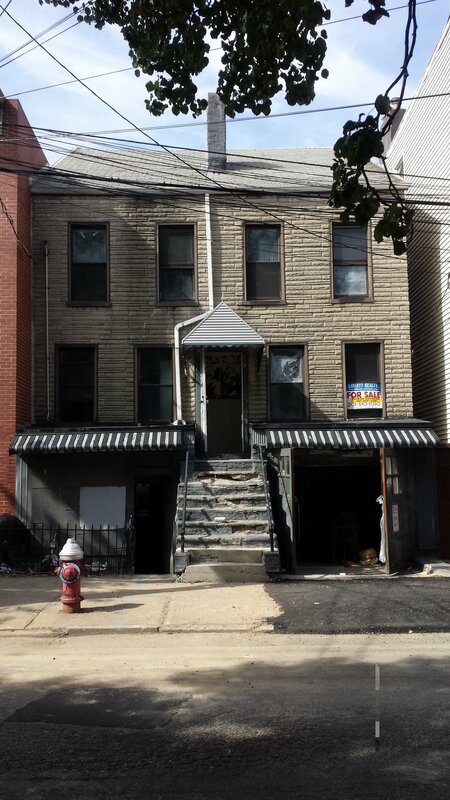 Using historic tax photographs, physical evidence on site, the expertise of the Jersey City Historic Preservation staff and very skilled carpenters, we were able to recreate the original siding and trim elements. The result is a dramatically open, bright and modern interior coupled with a historically accurate and contextually sensitive exterior.